Apartments usually give you more access to the city life than houses. Moving from renting to owning is a big step that requires you to make several major decisions. Choosing to buy an apartment instead of a house overcomes one of the first big hurdles and gives you a place to start your search. 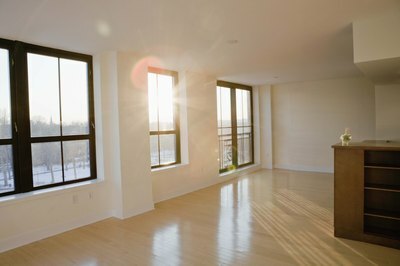 Owning an apartment requires you to consider some different facets of ownership than buying a house. 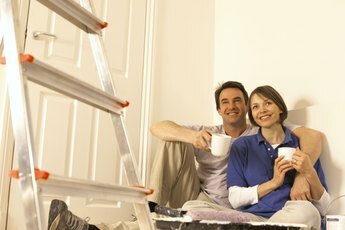 In many ways, buying an apartment is similar to buying a house. Good credit is key to finding financing. The location is important, with work and good schools nearby. Determining your priorities is essential before you shop; you might need a large kitchen so you can cook as a couple or want an amazing view. When you own an apartment, you expect to live there for a while, and you want to make it easy to rent or sell in the future. Check out the parking situation. Some apartment buildings provide a parking deck or reserved spots for residents and guests. If the building doesn't offer parking areas and there aren't many nearby, decide whether you can live with the hassle of driving around the block searching for parking. Finding an affordable mortgage payment is key when you buy an apartment, but you also must factor in homeowner's fees. These typically cover maintenance on common areas such as hallways, elevators, courtyards and amenities. They sometimes cover maintenance on shared services, such as heating and cooling units or landscaping. The fees are usually paid monthly and can be several hundred dollars. Ask for contact information for some existing residents or talk to people entering and leaving the building to determine how well the money is managed and whether the building is adequately maintained. Even though you own an apartment, you don't always have the same privileges as when you own a detached home. The building might not allow pets or might have a weight limit restricting pets to a certain size. You might enjoy working out first thing in the morning, but the fitness center might not open until after you leave for work. 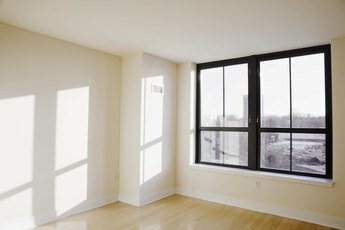 Review the covenants and bylaws governing the building to make sure the rules fit your lifestyle before buying the apartment. Before your apartment purchase is complete, read the covenants carefully to find out when you need to petition for the approval of the homeowner's association. For example, you might be required to ask permission to remodel your apartment, providing renderings of the new design, the length of time the renovation should take and what times of day the work will be done. Most associations try to limit the noise and inconvenience renovations cause other owners, which also means you might have to give up your dream of elegant hardwood floors; carpet is a better noise reducer and is required by some covenants. If you are buying the apartment as a potential rental property, check the rules first. Some associations don't allow rentals at all, while others require that all renters be voted on and approved by the association, sometimes running background checks on the renters. Lending Tree: Condominium or House: Which is Right for You? Neil Hribar: How is Buying a Condominium Different Than Buying a House? 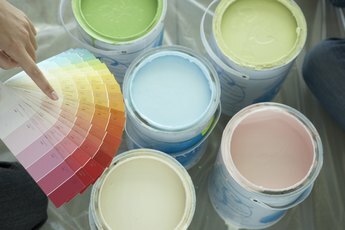 Is It Best to Remodel or Buy a New House?